“Our Lord Jesus Christ before his ascension into heaven instructed his disciples, saying: ‘Go therefore and make disciples of all nations, baptizing them in the name of the Father and of the Son and of the Holy Spirit, teaching them to observe all that I have commanded you. And behold, I am with you always, to the end of the age’ (Mat 28:18-29). This commission of Christ to proclaim the Good News was given not only to the first disciples, the apostles, it is directed to the Church in all times, even to the end of the ages. 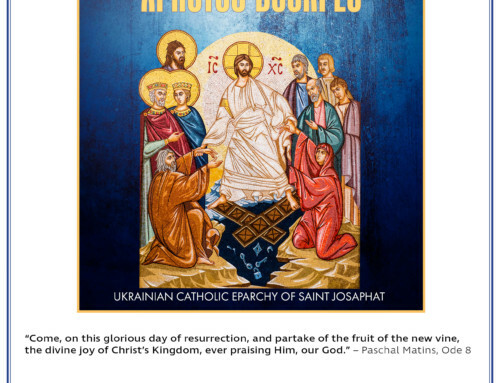 The Ukrainian Greek-Catholic Church, in fulfilling this commission of our Divine Savior, speaking through the Bishops of its Holy Synod five years ago, defined “Holiness of a united people of God” as the goal of her ministry. Holiness is God’s gift, and the vocation of every Christian. “For this is the will of God, your sanctification,” St. Paul reminds us in the letter to the Thessalonians (1 Th 4:2). Every Christian receives in the Mysteries of Christian Initiation the gift of God’s Life, which is lived out most fully in the Liturgical life of the Church. And every person, through the Mystery of Holy Baptism, Chrismation and Eucharist receives the vocation to share that divine life with others. In our Kyivan Tradition, the traditional form or method of catechesis is known as “liturgical catechesis” because its main purpose and aim is to incorporate the individual person ever deeper into the mystical life of the Church. Liturgical catechesis, then, is intimately tied to, founded upon, and directed toward the whole Liturgy, i.e. 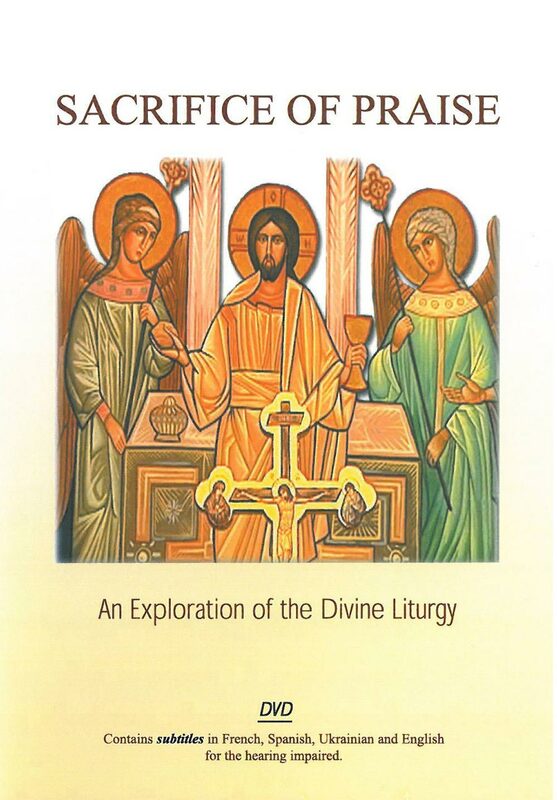 the Divine Office, the Mysteries and the Divine Liturgy. The Divine Liturgy is the Source and Summit of the fullness of Divine Life but we encounter Christ in all of the Church’s Liturgical Prayer. 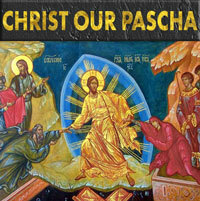 The guidelines and directives outlined below are offered at the direction of our Eparch, Bishop Bohdan Danylo, in order to ensure continuity with and fidelity to our rich Tradition of Byzantine liturgical catechesis in our Ukrainian Catholic Church as explained in our catechism Christ Our Pascha. The Church community in a vibrant parish is the primary communicator of our faith Tradition and practices, and that the entire life of the Church is the curriculum and we need to incorporate the main goals of catechesis. Each and every one of us is responsible for the renewal of our parish communities. Christ’s commandments apply to all faithful Christians without exception. Together, we all form the One, Holy, Catholic, and Apostolic Church. That is why all of us need to be “living stones” as we build our parish community, through which the Church is present where we live. Let us become a vibrant community by being a Learning Community that grows ever closer to Christ and each other. “Let the word of Christ dwell in you richly, teaching and admonishing one another in all wisdom,” St. Paul teaches us in the Epistle to the Colossians (Col 3:16). Through the Word of God we come to know Christ, we encounter Him, and enter into a living relationship with Him. “Ignorance of Scripture is ignorance of Christ,” said St. Jerome. In our parishes we want to follow the example of the first Christians so that the Word of God might become the foundation of our ecclesial, parochial, family, social, and personal life. 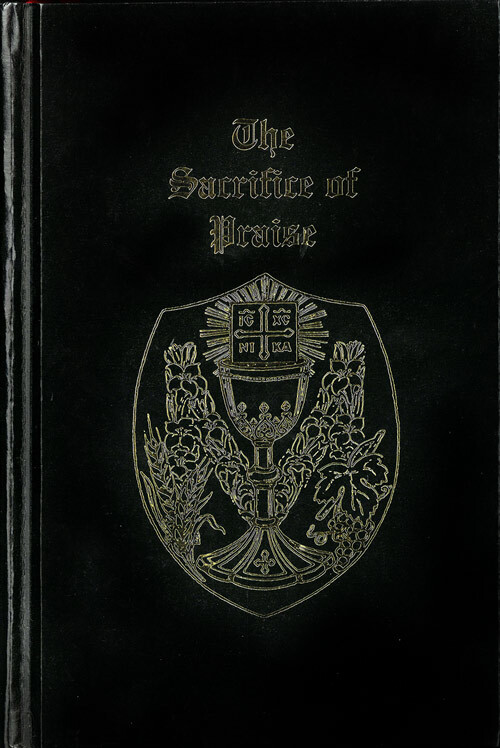 Patriarch Sviatoslav strongly urged pastors to diligently prepare their homilies based on the proclaimed Word of God in such a way that this Word might become “living and active” in the life of our parishioners, capable of nourishing them, giving them answers to real issues of the day, and inspiring them to service. The Word of God should bear visible fruit in our everyday lives because only those who keep this Word, that is, obey it, will be called blessed in the Lord (see Lk 11:28). In our parishes there should not be a single family which does not own a Bible. All our faithful should read the Sacred Scriptures on a daily basis; this is done ideally through participation in parish bible-study groups or through prayerful reading at home. 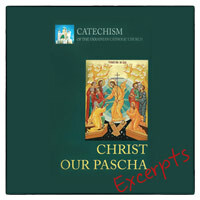 The newly published Catechism of the Ukrainian Greek-Catholic Church, “Christ our Pascha,” is another essential volume which should become a handbook of faith for all the members of our Church – children, youth, and adults. The Catechism, according to Metropolitan Andrey (Sheptytsky), is the foundation of Christian life. “The Word of God is the foundation of Christian life, while the Holy Eucharist is its source and at the same time its culmination. 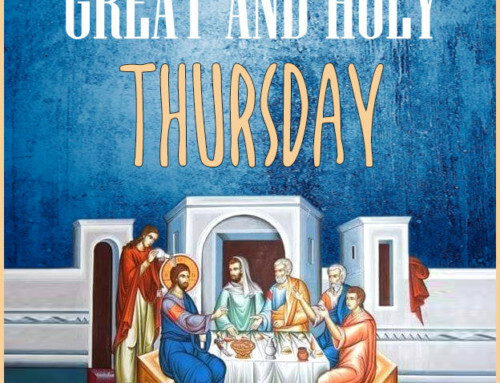 Gathered at the Divine Liturgy, the parish community unites with its invisible head, Christ, and with all the saints and angels, thus enacting a mystical union between heaven and earth, between time and eternity. The Divine Liturgy, which a duly appointed priest celebrates in unity with and on behalf of his bishop, is also a time of building up the Church, the body of Christ, which has our Lord as its Head. There is no moment more precious in our earthly life than the Divine Liturgy. That is why Sunday, the Holy Day of our Lord, should be honored by every Christian, and participation in the Divine Liturgy should be considered not as an obligation imposed by the Church, which requires our obedience, but it should be received as a gift from our Lord, who longs to encounter us, in order to fill us with His grace and love. “We cannot live without Sunday!” was the motto of the early Christians of the first centuries, and they preferred a martyr’s death to agreeing under pressure from the pagans to work on Sunday. This motto we Christians of the 21st century must make our own, and we should persistently guard the holiness and inviolability of the Lord’s Day. “The parish is a community of faithful who, under the leadership of the bishop and their pastors, fulfill their calling to unity with God the Father through our Lord Jesus Christ in the Holy Spirit. The Lord Jesus constantly acts in our communities through the Holy Spirit sending down His gifts for the development and growth of His Body. The Apostle Paul thus explains: “And his gifts were that some should be apostles, some prophets, some evangelists, some pastors and teachers, to equip the saints for the work of ministry, for building up the body of Christ, until we all attain to the unity of the faith and of the knowledge of the Son of God, to mature manhood, to the measure of the stature of the fullness of Christ,” (Eph 4:11-13). The leadership of the parish community is exercised under the leadership of the bishop as head and father. Each parish should be an organized community in which, under the care of their pastor and in cooperation with him, members serve one another according to the gifts which they received from the Lord. “The Acts of the Apostles convey a sense of profound unity which existed among the members of the first community of Christ’s disciples: “The community of believers was of one heart and mind, and no one claimed that any of his possessions was his own, but they had everything in common”. (Act 4:32). This spiritual state of being of the first Christian community can be expressed with the term koinonia (communion) which conveys unity, harmony and common life. To be Church is to abide in the communion of the Holy Spirit, the grace of our Lord Jesus, and the love of God the Father. Thus, the unity of the church is an icon of the unity of Persons of the Holy Trinity. This unity can be seen on different levels: on the level of the Universal and Particular Church, the eparchy, and the individual parish. It may happen that through our weakness and sinfulness we do not reflect this unity. Ever aware of this, we all must cherish and foster unity, preserving full communion with the successor of the apostle Peter, the Holy Father, with the hierarchy of our Church, with the local bishops and pastors who act in their name. Christ’s teaching into the world, to transform the world with the Spirit of Christ. A church community, renewed in the Holy Spirit, by its very life becomes a living sermon of Christ and His presence. Here it is worth mentioning one of the favorite phrases of Saint John XXIII, that “the parish is the fountain at the center of the village, to which all come to quench their thirst.” It is our wish that our parishes become such spiritual well-springs so that people would be drawn to them, and be able to find support and strength, love and grace – in one word, salvation. Adults are autonomous and self-directed. They need to be free to direct themselves. It is best to involve adult participants actively in the learning process and to provide a model of group process offered with facilitation. Adult participants want to be involved in covering topics and projects that reflect their interest. Adults are goal-oriented. They appreciate a program or process that is organized and has clearly defined elements. They want to know how this event will help them to attain their goals. Adults are practical; focusing on the aspects of what is most useful to them at this time. They may not be interested in knowledge for its own sake. Adult learners need to be shown respect and encouragement and as they share knowledge from their life experience freely with others. Adults are relevancy oriented; they must see a reason for learning something. It is important that objectives be clear to adult learners in the beginning in order for them to become fully engaged in the process. In preparation for the beginning of the Catechetical Year, the Pastoral Ministry Office will provide resources for “Catechetical Sunday.” Pastors and catechetical coordinators are asked to make use of these resources by distributing the materials provided, printing flyers and posters, promoting the theme of the Catechetical Year, and generally following the theme of the year in their programs. On October 1 of each year, Pastors will receive a request to update their parish Catechist list and contact information. Pastors are asked to submit their updated Catechist list to the Pastoral Ministry Office no later than November 1 of that year. The updated Catechist Directory will be used by the Pastoral Ministry Office to provide catechetical resources and publish news and announcements throughout the year. Each week the Pastoral Ministry Office will email resources to Catechetical Coordinators. “Seasonal” catechetical material designed to assist with catechesis within the domestic church will be made available for the fasts and feasts and emailed to pastors and catechetical coordinators. 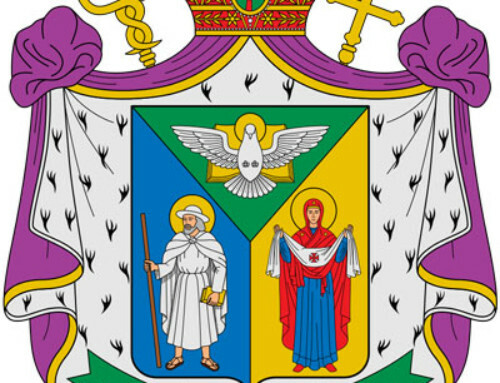 Religious education should be in accord with the teachings of the Ukrainian Catholic Church. Prior to teaching, every Catechist and Catechist Assistant must have completed and been certified through the Virtus safe environment program and have submitted documentation, including a background check, to the parish Catechetical Coordinator. Once the Catechetical Year is launched, an updated Catechist Directory with contact information should be emailed to the Pastoral Ministry Office. Parishes are requested to submit the updated directory no later than November 1. In addition to the Catechists’ Directory, parishes are requested to submit an enrollment report, detailing the number of students and families that are registered in the parish catechism program, the number and level of classes provided, and comparison chart to the previous Catechetical Year. Catechism classes should take place weekly at the appointed time which does not conflict with Sunday Divine Liturgy. At least twice during the Catechetical Year, all students should be brought into the Church for Holy Repentance. As explained above, educational content presented by the catechetical textbook in use and determined by the schedule of the academic year, should conform to or in some way be conformed to the liturgical season in which the church is living. As fasting and feasting seasons change, seasonal catechetical programs will be provided. Catechist Coordinators and Catechists should distribute these publications to parents and integrate them into their catechesis each week. The Catechetical Year should conclude in the month of May with an end of the year program or ceremony”. At the conclusion of the Catechetical Year, a progress report should be submitted to the Pastoral Ministry Office outlining the overall health of the parish program and sharing particular successes and challenges which the parish catechism program experienced during the Catechetical Year. Arrive early for set up and prayer. To follow proper safety procedures, the catechist should arrive in the classroom prior to any student. Because the Catechist is a guide and example, upon entering the classroom, Catechists are encouraged to pray before the icon of Christ the Teacher that he or she may fulfill the ministry of catechesis through the gift of the Holy Spirit, and that the students may be open to receiving the gift of Divine Life. Students begin by reverencing the icon. When students / disciples arrive to the classroom they should be accustomed to immediately go to the icon corner to reverence the Icon of Christ or festal icon before being seated. While students are arriving, a CD or smart phone with the Resurrectional Troparion for that Sunday may be played quietly. Classes should begin and end on time. Catechetical classes should begin at the appointed time and should not be delayed for late arrivals. If some students have not yet arrived, class should begin without them. When late arrivals enter the classroom, they should immediately go to the icon corner, reverence the Icon of Christ and join the class quietly. The class instruction should not be interrupted to bring the student up to speed unless absolutely necessary. 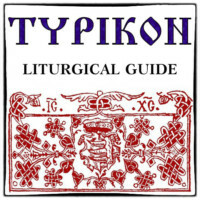 Classes might begin with the Trisagion Prayers. Once the time for class has arrived, the students are asked to proceed to the icon corner once more and the class prays the Trisagion prayers together (this could be led by a particular child who has prepared himself or by the class as a whole). Over time, as Catechists and students become familiar with the prayers, this part of the class will become natural and take very little time to complete. Once familiar, this part of the class should take no more than three minutes. Use the appropriate section of the God With Us catechetical series. The catechetical lesson in the God With Us series is covered with activities suggested – depending on time. Catechists should not attempt to cover every aspect of the material presented in the God With Us lesson, but rather focus the student’s attention on the most central points. The details of the lesson and the entirety of the unit are to be reviewed and taught at home by the parents. Catechists are encouraged to prayerfully prepare themselves each week for this important time with their students and they should make an effort to present the catechetical lesson within the context of the liturgical cycle in which the Church is living. 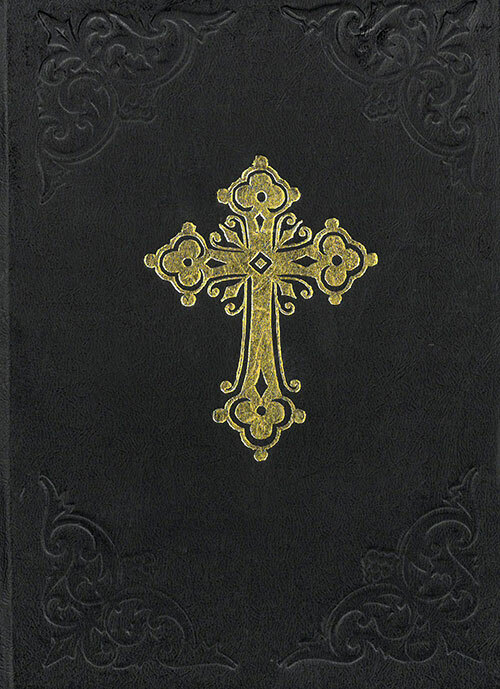 The Bible, as the “language” of catechesis, should be used regularly throughout the instruction and students should be encouraged to open their Bible and read passages allowed whenever there is an opportunity. In classes for younger ages a craft project is commonly worked on during some part of the catechetical lesson. 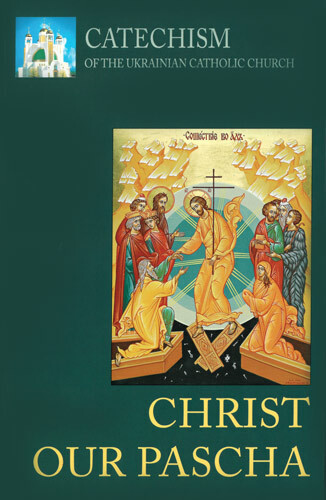 Conclude the class by reverencing the Icon of Christ. Much of what is developed, this and other quotations, in these Eparchial Guidelines is drawn from Liturgy and Life: Lectures and Essays on Christian Development through Liturgical Experience, Alexander Schmemann. New York: Dept. of Religious Education, Orthodox Church in America, 1974. Catechists are encouraged to read the entirety of this seminal work.